Provide comfort for the family of Barbara Gamache with a meaningful gesture of sympathy. 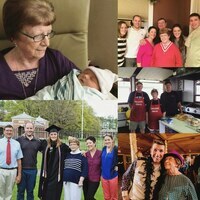 Barbara Marion (Perrotte) Gamache, affectionately known as “Nana”, age 90, formerly of South Burlington, Grand Isle, St Petersburg, FL, and most recently Essex Jct., passed away after a short battle with cancer on March 29, 2019 at the McClure-Miller Respite house with 4 generations of family by her side. Barbara was born in Burlington, VT on April 8, 1928, the daughter of Winifred (Myers) and Maurice Perrotte. 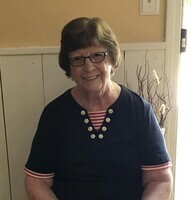 She graduated from Burlington High School in 1946, and on June 23, 1956, married Clement G. Gamache at the Cathedral of the Immaculate Conception in Burlington, VT. They made their first family home in Essex Junction, eventually moving to South Burlington where they lovingly raised their daughter, Judy. Barbara and her husband owned and operated Bob’s Market and the Allen House in Winooski for several years. After retirement their time was spent between St Petersburg, FL and Grand Isle, VT until her husband of 50 years passed on March 26th, 2007. 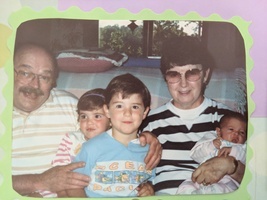 Barbara cherished her three grandchildren, providing day care for them in their early years, and passionately attending sporting events, dance recitals, school concerts, and hosting pool time in the summers at “Nana and Pip’s” house. 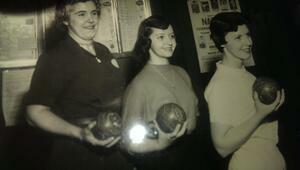 Barbara also enjoyed bowling, playing bingo, cheering on the Red Sox, and card and game nights with family and friends. She is survived by her daughter and son-in-law Judith and Ray Ingalls; sisters Marlene Rocheleau and Renee Perrotte; sister-in-law Connie Perrotte; three grandchildren Jeff Ingalls, Jill (Ingalls) Mongeon, and Jessica Ingalls; great granddaughter Adeline Mongeon; and several nieces and nephews. Barbara was a pleasure to take of, and she brought so much joy to my work days! I loved listening to her stories and her positive attitude was contagious from the moment she arrived to the Respite House. Thank you for sharing such a wonderful woman with us! My deepest sympathy to Barb's entire family, she was a very kind and caring woman. I delivered her prescriptions quite regularly and heard many stories and fond memories that she carried of her family, also she was a "words with friends" player with me on the computer and was hard to beat, although I later found out she had a "cheat" book! May everyone hold her memories close to their heart!